We require payment before or at time of pickup. We ask that cancellations be made at least 24 hours before your scheduled trip. We will charge 50% of your original agreed upon fee for no-shows or late cancellations. We accept checks. Payment can be given to our drivers at pickup time. Please make the check payable to "Joe's Transport". We accept any US-issued and most internationally-issued magstripe or chip cards bearing a Visa, MasterCard, American Express, Discover, JCB, or UnionPay logo. You can pay our drivers or you can prepay using the secured email link we send you. Our drivers can accept payment by Apple Pay, Google Wallet, Android Pay, and Samsung Pay. 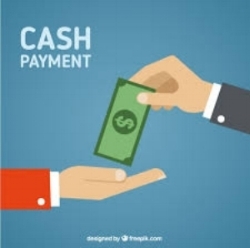 Our drivers accept cash payment. However, for safety and security reasons, we do not encourage cash payment. If you choose to pay by cash, we ask that you have the exact amount as our drivers may not have change with them. Our drivers do not accept tips. You can show our driver your appreciation by thanking them.